Maria graduated with a B.S. degree in Neuroscience from Bates College in May of 2018. Prior to joining the FABLab, she worked as an undergraduate research assistant in the Neuro Image Research and Analysis Lab under Dr. Rebecca Knickmeyer studying brain development of infants. She also worked in the Bates Computational Vision Lab under Dr. Michelle Greene researching creative cognition in shared mental models. 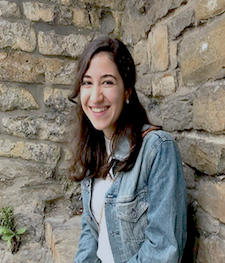 Maria is interested in pursuing a doctorate degree in cognitive neuroscience and exploring the brain mechanisms of social cognition and their roles in guiding behavior. Outside the FABLab, Maria enjoys watching indie films, hiking, and eating cornbread.